This is the first book in the field of Sound Healing to give such a wide perspective on everything in the field. It covers the full range of how sound affects us physically, mentally, emotionally and Spiritually. The field has become so expansive that it is impossible to cover every aspect and detail in one book. Many books go into much more detail in some areas, and many do it quite well. This book gives you a good overview of the entire field with many important details not covered in other books. The book covers the full range from the known science to the esoteric wisdom. It explains how sound works based on specific laws of physics. This is important because Sound Healing will not gain the widespread acceptance needed to get it into the mainstream (hospitals and homes) until we have a clear and concise understanding of how it really works. There are many ancient techniques that are incredibly powerful and we don’t yet understand the mechanism of how they work (Spirit has not given us the full manual yet). Yet, Sound Healing miracles are quite common. Therefore, we include many of these techniques that come from ancient wisdom. The book gives specific techniques on how each of the vibrational tools work on the human system. These include voice, crystal and Tibetan bowls, tuning forks, tingshas, didgeridoos, gongs, chimes, shakers, rattles, drums, tone generators, nature sounds, light, color and sacred geometry. 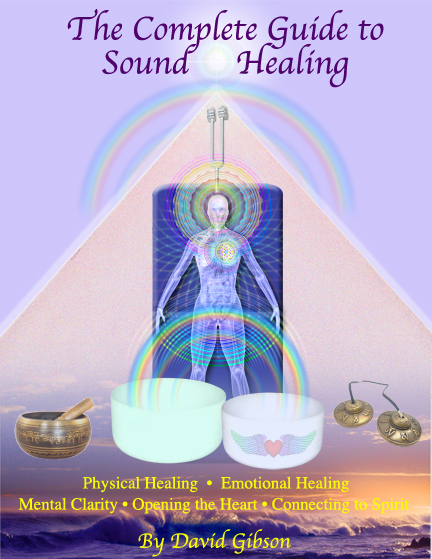 We provide detailed step-by-step procedures for performing a sound healing session with the voice and the full range of sound healing instruments. The book also covers how to use sound for physical issues, including pain, illnesses and disease. It explains specific sound techniques for releasing stuck emotions and negative beliefs. It also discusses how to entrain the brain into the different brainwave states of Delta (for sleep), Theta (for creativity and as a portal to Oneness), Alpha (for presence and mental clarity), Beta (for ADD/ADHD), and Gamma (for higher states of consciousness). But most importantly is the section on Spiritual enhancement to access expanded states of awareness. David shares techniques for using sound to obtain perfect presence and stillness. He covers the full range of techniques on how to use sound to resonate more gratitude, compassion, love and joy in your life. The book also provides a full range of ways to use sound to open the heart. David also explores the frequencies and sounds of the chakras and auras and explains some powerful techniques for resonating more harmony. Because everything is vibration, the Soul must be a frequency. We show you how to find this frequency and resonate a direct connection. Ultimately, we explain how to use sound to access the ultimate state – a connection to Source where you are one with everything in the Universe. In such expanded states often physical, mental and emotional healing happen on their own. This book is not just a guide to Sound Healing, it is a guide on how to raise your vibration and hold it there more consistently so that you can be less affected by any negative vibrations in or around you. And, most importantly, so you can transmit more positive vibrations into the world — Ultimately, creating such a strong resonant field on the planet that the rest of the planet is entrained into these same higher vibrations. recording artist, researcher, author & sound healer. Chapter 26 – Stress Relief, Anxiety, Panic Attacks, Fibromyalgia, and other Stress Related Issues. Daily sound practices that can easily be incorporated into your daily life. Amazing technologies you might be interested in. What makes powerful recorded sounds and music. This is an introduction to the field of Sound Healing, including a bit about its history and current expansion. I share some anecdotal “miracle” stories of sound being used for physical, mental, emotional and spiritual healing. When you see everything as vibration the world takes on a clearer focus. As you become aware of you own personal sound landscape, you notice how the vibrations around you are affecting you. You then have a choice to harmonize or use your own sounds to protect yourself. The key is to develop a pure and consistent frequency on the inside so that you are less affected by all the discordant vibrations in and around you. However, we are also part of and connected to the group we call humanity, as well as the rest of the Universe. Therefore, we also need to know how to be flexible and flow with the energies around us. We need to be able to dance with those vibrations around us – or surf the waves, as some say. Sound activates, or calms us physically, mentally, emotionally and Spiritually. In particular, music, chant and mantra can be quite activating. Even sounds by themselves can be extremely activating. On the other hand, one of the most important aspects of sound and music is its ability to bring us to a state of complete peace and stillness. Finally, the Introduction gives a brief overview of how the book has been structured. We can focus on “What is wrong,” or we can focus on “What is right.” When focusing on what is wrong, we can do the “seek and destroy,” method of traditional medicine, or we can match the frequency of the issue and slowly transform it into something benign. However, the new paradigm for healing is to not focus on what is wrong at all. Instead, simply resonate what is right – like higher emotions of gratitude, compassion, love, joy; a connection to your own Soul, and a connection to Source and Spirit. The science on how sound affects us physically is well defined and proven by traditional physics. The science on how sound affects us mentally through brainwave entrainment is also really well proven and accepted because we can hook up an EEG unit and see the different brainwave states. How sound affects us emotionally is a little less clear, but there is so much anecdotal evidence of people being dramatically transformed. Quantum physics is starting to explain the whole world of Spirit and Source, but we still have a long way to go. However, sound is such a powerful tool for Spiritual transformation. There are two basic schools of thought in the field of Sound Healing. The first is that each person has a unique resonant frequency that is the core of who we are. When we resonate this home note, we become more centered and grounded. We have had huge success healing many symptoms at our Sound Healing Therapy Center with this technique. A dozen researchers in the field also subscribe to this concept. The second school of thought is that we need a balance of all frequencies. The research of Dr. Alfred Tomatis and many voice analysis researchers have shown that when a person is missing a certain pitch or note in their voice, they are actually missing essential nutrients that can affect organs in the body or create learning disabilities. Some research also points to missing frequencies as the cause of autism. I explain how to use sound to bring us into a state of complete and utterly breathtaking stillness – with very little effort. As many say in the field, “The best part about sound is when it ends.” A slow fade on the home note of a song’s key can leave one in a state of perfect peace. Many musical instruments do this naturally. Knowing these simple techniques provides the reader with the key to bringing ultimate peace into their lives. Higher consciousness is not necessarily about a “higher frequency.” Physically, it is about resonating the natural consistent frequencies of a healthy cell or part of the body. Emotionally, is also about stability and consistent flow. Mentally, it is about focus and consistency. Spiritually is also about consistency. A consistent frequency is the essence of peace and stillness, which opens up portals to other dimensions and higher states of consciousness. Health occurs in the body when all parts of the body are in harmony with all the other parts. However, dissonance can be an incredible tool for breaking up blockages and stuck energy that are getting in the way of harmony. Pure frequencies manifest tone generators, tuning forks and some crystal bowls. They are very powerful for focusing on specific issues or organs. There are also many archetypal frequencies that are effective for specific issues. We list the main ones, which you can then use for your own benefit. Pure frequencies also manifest as “concert pitch.” The standard is that the note “A” is tuned to 440 hertz. However, there are other pitches that seem to be quite a bit more auspicious and have better effects on the body. Pure frequencies also come to play in tuning systems. When the frequencies of each note in a song are tuned to the natural frequencies in nature, they are way more powerful and effective. Most people believe that a single sound is comprised of only one frequency or pitch. The truth is that sounds normally contain multiple frequencies that have very specific mathematical relationships to the fundamental pitch. These are called harmonics or overtones and account for the different tonalities in sounds. Particular harmonic structures are activating; others are calming. This is critical to be aware of when choosing a sound for a particular issue. This mathematical structure found in each sound is also found throughout nature – in the distance between the planets, the weight of each vertebrae of the spine, the atomic structure of a sound, and at the quantum level. In physics, noise is defined as an incomplete waveform, so it actually does not contain frequencies. 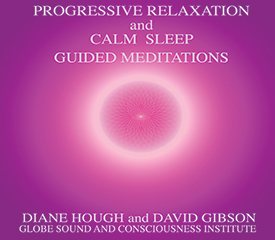 In this chapter I point out all of the sounds that are primarily noise – white and pink noise, the ocean, waterfalls, rushing rivers, shakers, whispers, and the breath – and how these sounds can be used to breakup stuck frequencies found in certain emotions, posttraumatic stress, and learning disabilities. Musical intervals and chords are the relationship between two or more sounds. They can also be used to describe the relationship between any two things in the world – for example, two people, a person and a flower, two different colors, or two different planets. This section looks closely at the different states of consciousness that each musical interval tends to create in a person. Scientific studies show that rhythms affect heart rate, brainwaves, and even breathing patterns. This section looks at how these rhythms can be used to elicit a state of deep peace or pleasurable excitement. Certain rhythms can also induce trance states. We also discuss what makes a healing rhythm – one that breathes with subtle changes as found in nature. I share a full list of parameters within music that create dynamics, each of which can create a full range of emotions and feelings. Certain types of music tie into the body’s biorhythms creating a much deeper experience. When the quality of the flow matches the mathematical patterns that are naturally found in nature and Spirit, it can cause powerful transformational experiences. Intention is a coherent frequency that is carried along the sound waves to its destination. I also share some of the research projects that have been done on intention, including the work of Dr. Emoto. We then practice holding their complete focus of attention with a specific intention while making sounds with the voice. Many musicians do not hold an intention consistently while performing the music, however their state of consciousness brings through amazing energy. Every living system has frequencies, timbres, music and energy. The most important aspect of a healthy system is the smooth flow of music and energy in the system. Frequencies and timbres are balanced in order to create this smooth flow. This is true in the human system and the living system of our earth. Different volume levels have dramatically different effects on us. Also, the way that volumes change over time has been associated with specific emotions. I explain the positive and negative aspects of both loud and soft volumes so you can use them more effectively. Recent research shows that if we like a sound, it is good for us physically. However, based on physics, various sounds will affect us differently physically regardless of our preconceptions. When you see everything as it is – Frequency – there is no good or bad. From this perspective it is easy to allow things to be what they are, without resistance or reaction. This section covers different approaches to viewing positive and negative sounds. I explain several techniques for dealing with so-called negative sounds, as well as ways to open up more fully to let in positive healing sounds. Everything is vibration – cells, organs, emotions, thoughts, food, and spirit. This chapter explores the full range of sounds that we carry within us and encounter daily. The key is to first become aware of the frequency of something. We can then choose to harmonize with the frequency, change it with resonance, or just let it be. I also explain the concept of the sound template within, which we are born with, and how all the parts of the symphony work together when in harmony. I share information about our “Gene OM” research project that is looking to find the frequency of every single part of the human system. Some say that the heart is in control. I have come to believe that the frequency of the Soul is the frequency that our entire system is based on. We look at a variety of theories as to the frequency hierarchy within this complex human system we inhabit. The more we can explain how Sound Healing really works, the more it is going to be accepted by the mainstream. Then, we can get it into hospitals and homes and take our own healing power back. In addition, when you and your client understand how it actually works, it helps to make the belief that it will work stronger – and, the more we believe something will work, the more it will! This is not to say that we have to understand how everything works. There are many ancient traditions that are extremely powerful and we still don’t have a clue how they actually work. We don’t want to throw any babies out (with bathwater, that is). Resonance happens when something that is vibrating causes something else to vibrate. It is the key to how sound healing works to change the frequency and vibration of a person for both healing and raising one’s consciousness (from cells to soul). This chapter explains 7 laws of resonance from physics that are the basis of how all Sound Healing works – physically, mentally, emotionally and Spiritually. This chapter also explains the dynamics of how sound resonates in chambers (instruments, rooms, temples, organs, etc.) and in materials (instruments, tissues, bones, muscles, etc.). You will learn how to do a frequency sweep in order to find a particular resonant frequency of an issue, organ or disease. You will also learn a process for finding a frequency intuitively. Understanding how resonance and entrainment work to change the vibration of something at every level, you gain the power to make positive changes in yourself, in others, and on the planet – or to simply resonate with higher vibrations of nature and Source. We categorize all the sounds the voice can make based on the effect that create on us physically, mentally, emotionally and Spiritually. Toning mostly consists of making the vowel sounds with the voice. It is very simple and powerful technique for creating consistency and peace. We look at how chants and mantra work to affect us in deep and powerful ways. We then list some well know chants and mantras. Sound is a very powerful tool (way beyond what most people realize). Occasionally, it can bring up deep emotional issues. It is important to be prepared to be able to help people in a healing crisis. We also share techniques for protecting yourself and others from the beginning. How to perform a Sound Healing session with either the voice or instruments. We explain a process that can range from extremely simple to quite complex. The science on how sound affects matter. Most illnesses in the body begin with a simple buzz. It often keeps us from getting to sleep and then keeps us from sleeping well. When you check it out, you will notice that these simple buzzes happen in specific parts of the body. Sound is amazingly effective for getting rid of these buzzes. The most obvious benefit of sound is stress relief and relaxation. We look at how to use sound for issues that are based on stress (just about every issue there is really!). We share techniques for activating the body’s natural healing response. We explain how to use sound to harmonize organs, and stresses in specific body parts. 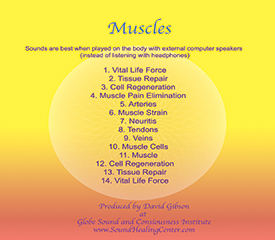 Resonating a part of the body with its own natural resonant frequency has been proven to unleash a large amount of stored energy. It also massages the part of the body. Add intention and miracles can happen. We explain techniques for breaking up and harmonizing diseases – techniques that people say have worked for them in the past. I explore the possibility of using sound to explode diseased cells. I share a variety of sound techniques for safely working with diseases. We look at the sound of pain and how to safely use sound to release it. Cell receptors can only handle so much information. When we fill them up with sound there is no room left to feel the pain. Making the sound of the pain is also an amazingly effective technique. Tuning forks are also unbelievably effective. All nutrients, including vitamins and minerals are frequencies or a combination of frequencies. Science has now shown that when you resonate a nutrients sound signature, it actually can create it in the body. Many believe that stuck emotions cause around 50% of all disease. If this is true, then learning how to release stuck emotions could save your life. Just as important, most of us would love to be able to get off the roller coaster of emotions. Emotions seem to mimic emotions almost perfectly. Babies and children naturally make the sound of emotions until they get entrained into the limiting structures of our society. But emotions are also like music – either flowing or not. Stuck emotions are like broken records. So-called “negative” emotions are associated with sounds and music that do not support the body’s physiology. Positive emotions support the physical body with their associated sounds. The chapter looks at how and where emotions get stuck in the body and the sounds that you can use sound to release them. You will learn eight different voice techniques for releasing and harmonizing emotions and emotional issues with your own voice. These same techniques can also be used on clients. Finally you will learn how to prevent emotions from getting stuck in the first place. Negative beliefs within us can create such a strong resonant field that they affect every aspect of our life – health, wealth and relationships. We explain a simple technique for transforming negative beliefs into their opposite with sound. There is some very good research on how sound and music can be used to activate the brain (including the Mozart effect). Different parts of the brain vibrate at different rates: delta, theta, alpha, and beta. Science has shown that when you create a frequency that falls within one of these brainwave states, your brain will entrain to that frequency normally within one minute. These frequencies are generically called binaural beats. When the frequencies are played on headphones they also synchronize the left and right hemispheres of the brain. I explore all the different brainwave states and explain how to use sound and music to get access each state. I also discuss how crystal bowls and even the purring of a cat can entrain one’s brain into a very deep state of meditation. You will learn many techniques you can use on yourself and others. Delta is deep sleep and we are only in this state about 1.5 hours in the night. It is the ultimate state because we are in 100% union with source being regenerated. Theta is the dream state, but it also associated with a space where you get creative downloads. It is also the portal to the subconscious in hypnotherapy. Theta also happens whenever you tune into more than one thing at a time. Since being One with everything in the Universe is about tuning into everything at once, Theta can be a portal to accessing this ultimate stage of consciousness. Alpha is relaxed attention. It helps with presence, mental clarity and memory. Beta is our normal thinking brain – a state we normally want to get out of. However, for some people with ADD, they actually need to get the Beta state activated in order to focus. Both Gamma (one of the fastest brainwaves) and Deep Delta occur when one is in a high state of meditation. Binaural beats in these ranges can also entrain you into these states. There have been studies that use EEG to measure the brainwaves of Dalai Lama trained meditators. Binaural beats have been used to re-create those same brainwaves in another person with great success. There are many vibrations in nature that naturally entrain our brains into particular brainwave states. The Schumann Resonance is a frequency that resonates in our atmosphere whenever lightning strikes. It entrains our brain into the threshold between theta and alpha. The research of Alfred Tomatis has led to a variety of techniques to help kids and adults with learning disabilities. Sound is also being used to help with Alzheimer’s and Autism. This section is about using sound to open your heart and raise your vibration and consciousness. There are two main avenues for raising your consciousness: 1. Weeding out all the discordant vibrations that are getting in the way of higher vibrations, or 2. Resonating higher vibrations of love, light, Soul and Source. The first avenue has already been discussed in detail in other chapters. This chapter is more about resonating higher vibrations. We explore the meaning of higher consciousness and how to use sounds to access the state. I discuss what it means to “raise your vibration,” examining different thoughts on what the phrase means. I then share multiple sound techniques for raising both your vibration and consciousness. When you are 100% present you are simply a point of awareness. Your particular frequency seems to disappear. In this state, there is no pain or suffering, you just are. There is probably no better way to access this state than with sound. Particularly, a sound that ends on the home note with a slow fade is one of the most powerful keys to lead us back to this innate awareness. Although there is no scientific evidence on chakras, there are now technologies that measure the resonance of chakras. I discuss the apparent connection between chakras and endocrine glands. I then show a chart of all of the frequencies, pitches, timbres and music that various sources have associated with each chakra and endocrine gland. We also explore the ancient seed syllables. You will learn a detailed technique for finding the frequency of each chakra on your own. You will also experience a variety of guided meditations for healing and activating each chakra and endocrine gland with sound. Sound is powerfully effective on the auras, and many say that our auras control all aspects of our physical, mental, emotional and Spiritual body. Some say that the frequency of the auras is based on the harmonic series of sound found in nature. When you resonate higher emotions with sound it creates a stronger resonant field that entrains your whole system even more powerfully. These vibrations also contribute to creating a much stronger resonant field of love and light on the planet – that will ultimately entrain everyone else on the planet. We look at love as frequencies, pitches, timbres, musical intervals, music and energy. Love is actually a frequency higher than sound, so one can add love to any sound frequency. However, there are certain tonalities and frequency ranges that are associated with love and are more likely to induce the feeling. I present a complete chart of sounds and frequencies that have been used since ancient times to open the heart and have the reader try them. I share various thoughts about the frequency of 528 hertz that Leonard Horowitz has popularized. I also look at the scientific research showing that when transmitting love, one’s heart creates harmonics that are in golden mean ratios. I also share different techniques for transmitting love with sound and have the reader practice them. Finally I examine how fields of love are created and how our own frequency of love strengthens the field of love on the entire planet. This section looks at the dynamics of how frequencies of love resonate when loving one’s self. Who is loving whom? You will learn a variety of sound techniques for transmitting love to the self. 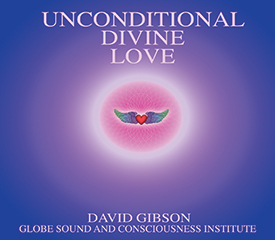 This section outlines all of the different types of loving relationships – friends and family, strangers and acquaintances, and loving partnerships – looking at the dynamics of each from a frequency perspective. I cover several techniques for being loving and holding boundaries at the same time. I also share many techniques for using sound in intimate relationships. There are also some powerful techniques for using sound to resolve conflicts in close relationships. Here we explore the nature of Universal and Spiritual love. I explain several sound techniques for opening the heart to Universal love. I take readers through a guided meditation for opening the heart and tapping into the resonant field of love on the planet. I also take a look at the sound of compassion – how it is accessed and how its frequency can be used to change one’s life. Finally, I explore what it would be like to live in a frequency of love throughout the day. Just about every song has a home note where we are at rest. Since we are a symphony of frequencies we must also have a home note. Everything is a frequency. Therefore, even the Soul must be frequency. It just makes sense that the Soul would be that home note where we are at complete peace and stillness. We cover a variety of ways to find your own Soul frequency and how to resonate it more and more in you life. The ultimate goal is to get to a place where we all are one. We may be able to intellectualize the concept of oneness but very few have actually experienced such a state. People who have accessed this state report that their lives are forever changed. In a state of oneness there is only peace and love. They also report that this state of oneness is not a singular frequency. It is a place similar to source where we are in touch with all frequencies in the universe at the same time! In fact, it is as though we are all frequencies in the universe. And… as everyone reports… it is a place filled with love beyond words! I share several techniques that use sound to enter this place of oneness. I then take the reader through a guided meditation to enter the place where we are all one. This section brings many of the concepts and information from the rest of the book together and shows how you can use them to change your life, and others. In this chapter I present a powerful process for raising a person’s vibration, going deep and releasing, then resonating states of pure bliss. Over years of doing different types of treatments and interviewing natural healers I have discovered a three-step process that seems to be the most powerful. This process can be done on yourself or on another (the process also works with other healing modalities). I explain this process in detail then give the reader a step-by-step procedure to follow using many of the sound techniques described earlier in the book. Challenges and conflicts are probably the #1 cause of us losing track of our own stable, peaceful vibration. This chapter looks at ten ways to handle challenges and conflicts and the sounds associated with each. These include: allowing, being present in the vibrations in your body, being present in your Root/Soul frequency, welcoming, bringing gratitude to the situation, bringing compassion, seeing the other and the situation as sacred. This chapter explores a range of techniques for using sound throughout the day – from really simple and basic techniques to a fully expanded sound healing practice. I list all the techniques and invite the reader to choose and use them, as they will. The goal is to perceive everything as sound and music (and after having completed this book you know that we really do mean “everything”). When we see everything as vibration there is no judgment, it is simply the frequency that it is! If supporting health, we can merge with it. If not, we center in our own sound. Once you have the frequency of an issue, there are 12 techniques for breaking up the energy, transforming it, or simply resonating higher energies of love and spirit to overcome it. I present the full range of techniques that can be used to create the desired positive outcome physically, mentally, emotionally or spiritually. These are reference chart for changing frequencies to pitch based on different concert pitches and tuning systems. More detail on all the parts of the body and their frequencies. This chapter lists and examines all of the sound technologies currently on the market, what they are good for, and gives our opinion as to how effective they are. A tuning system is the choice of frequencies used for each note in a scale. Ancient tuning systems based every frequency in an octave on natural harmonics found in nature. I look at the technical aspect of how tuning systems can make sound healing even more powerful. I also look at ancient tuning systems such as Just Intonation and Pythagorean Tuning and compare these with our current Equal Tempered system. I share over 1000 frequencies for a variety of issues and organs from different sources. As a recording engineer with the top selling book in the field of audio, I explain some techniques to make recordings even more powerful. I explain the difference in quality between live versus recorded music, as well as analog and digital sound. Finally, I give a brief overview of what makes a good audio mix from a psychoacoustic perspective.